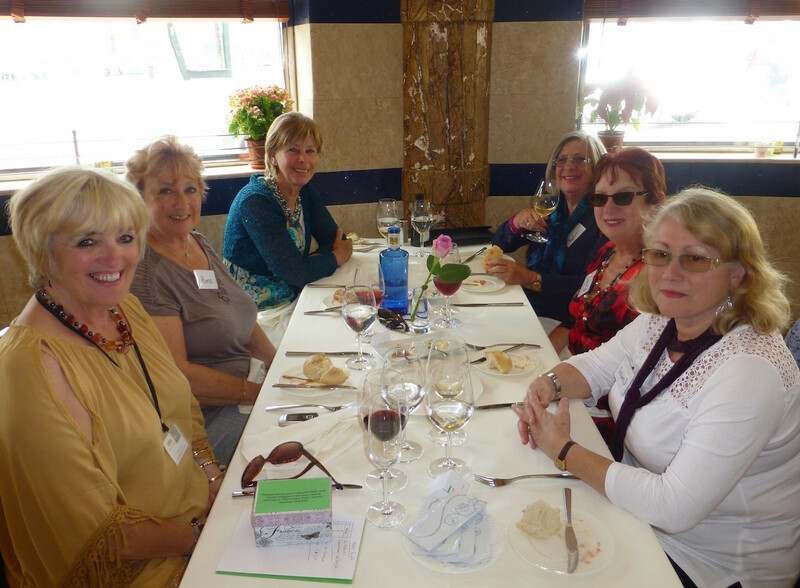 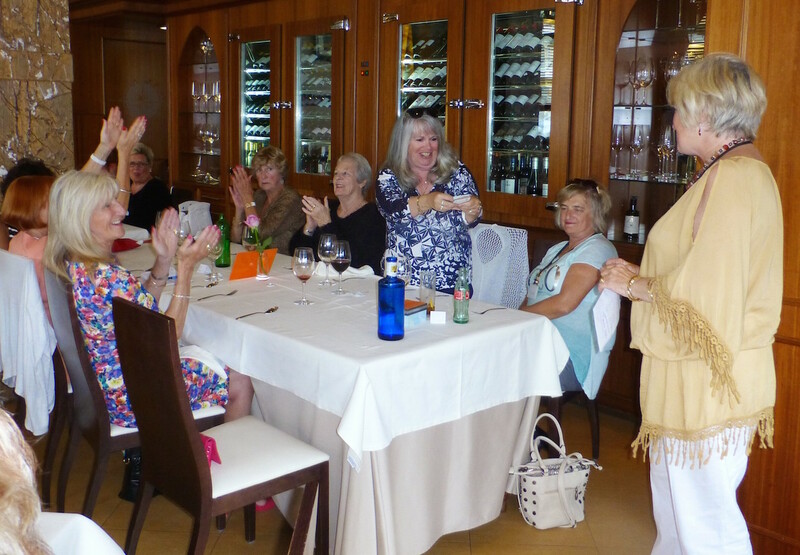 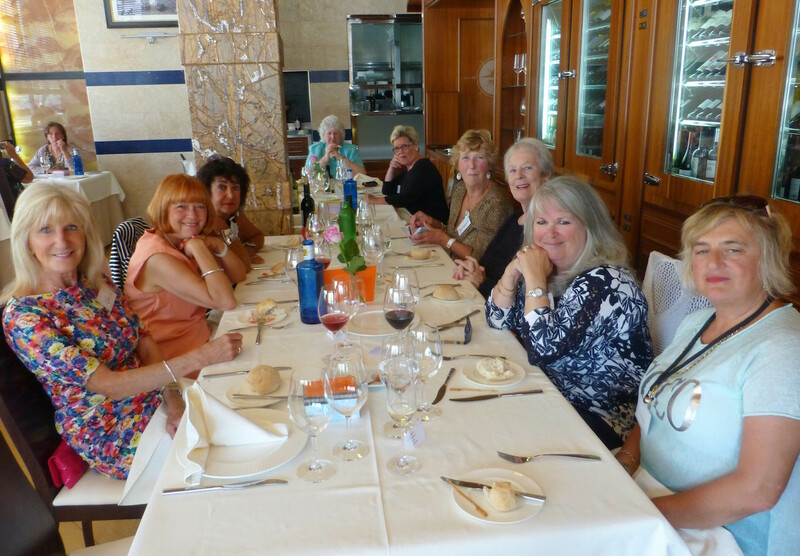 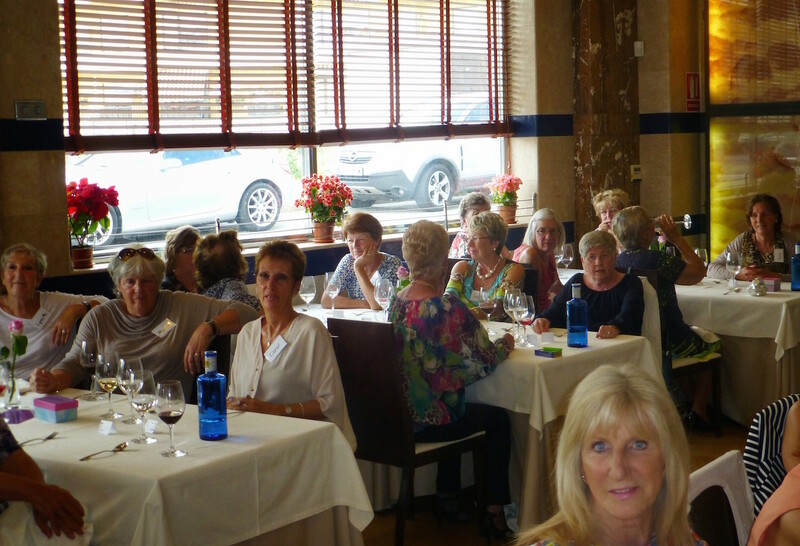 La Serenna hosted a gathering of thirty two Chicas on April 16th. 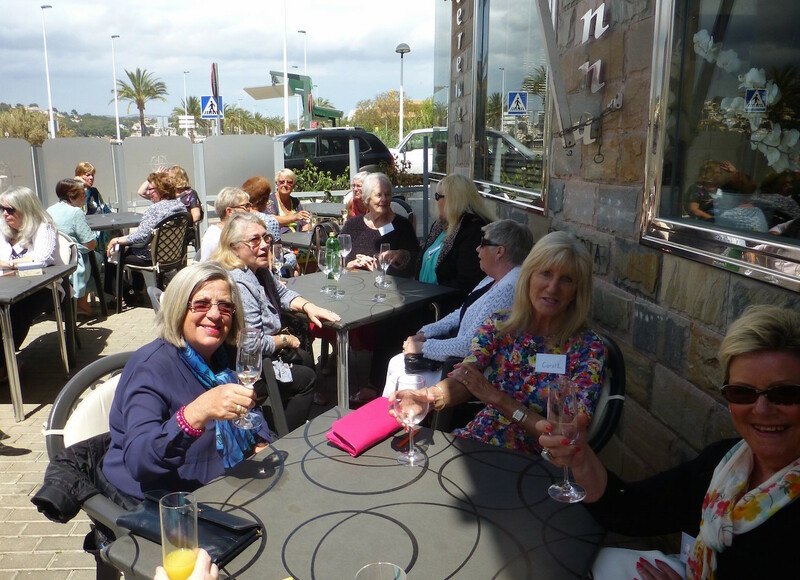 It was such a pleasant change to sit outside in warm sunshine for a glass of cava, before moving inside to eat. 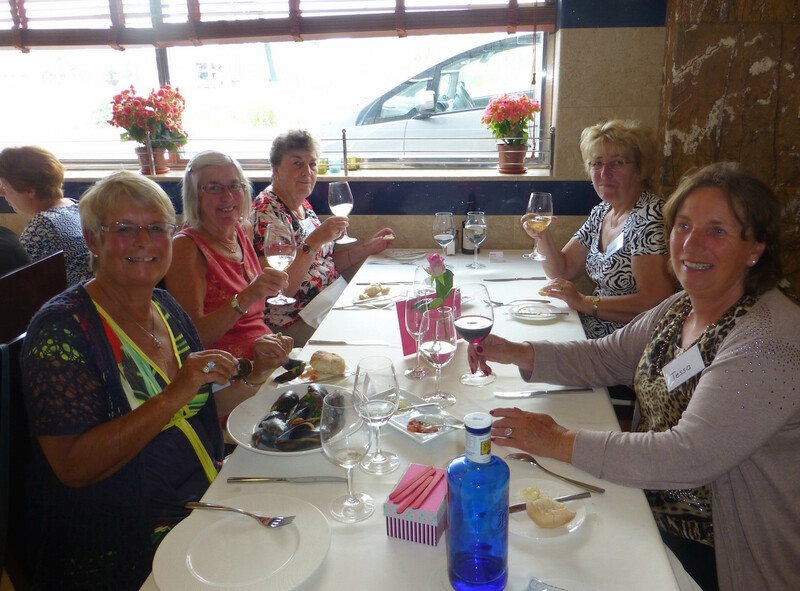 The staff brought out a delicious little tapa to apologise for the rather long wait, but the food when it came was very good, and they had made sure we had a glass of wine while we chatted. 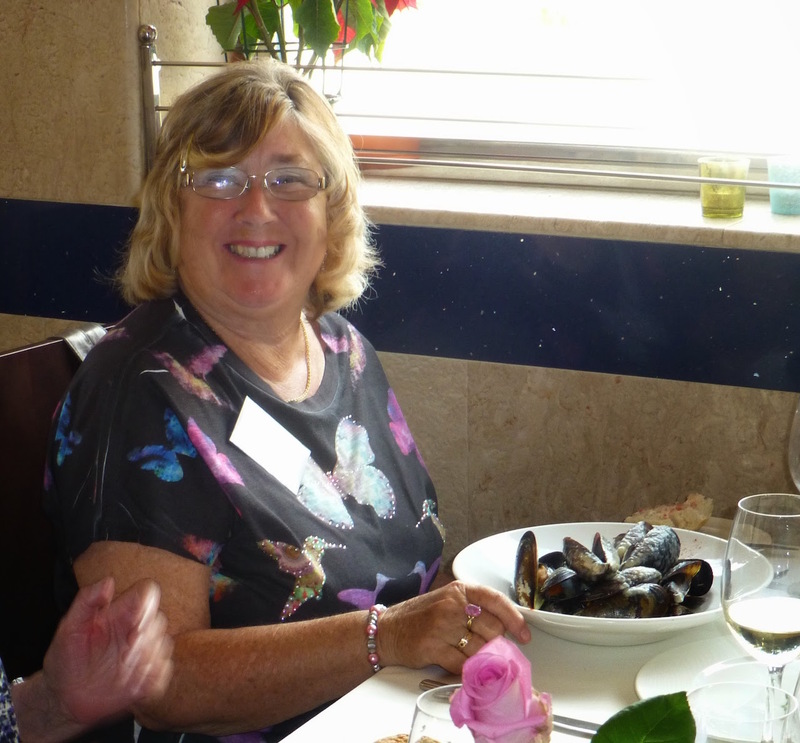 Beef carpaccio was an especially good choice for the starters, although my friend thought her mussels were even better, then there was lamb, fish or pork for the main course, something to suit all tastes. 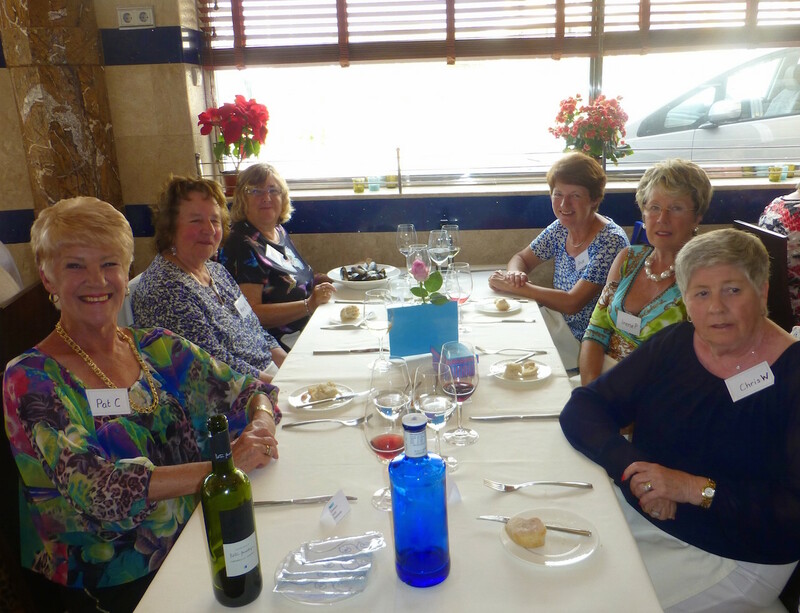 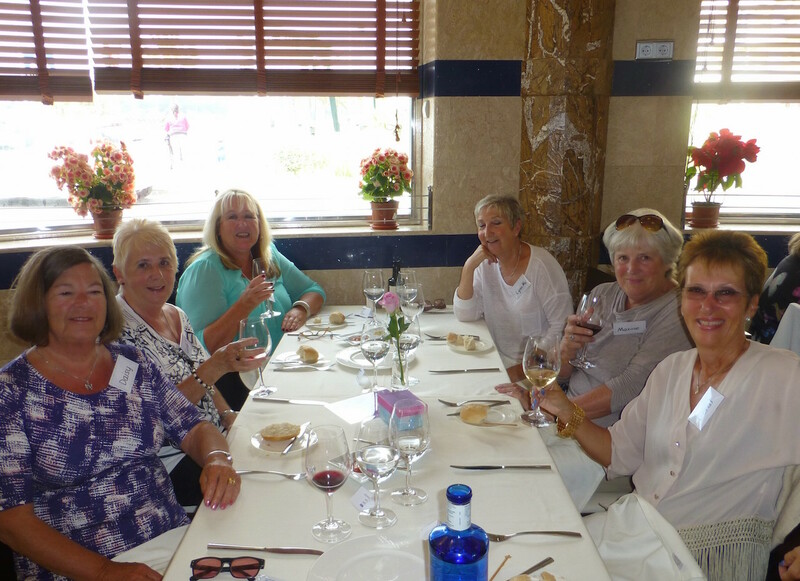 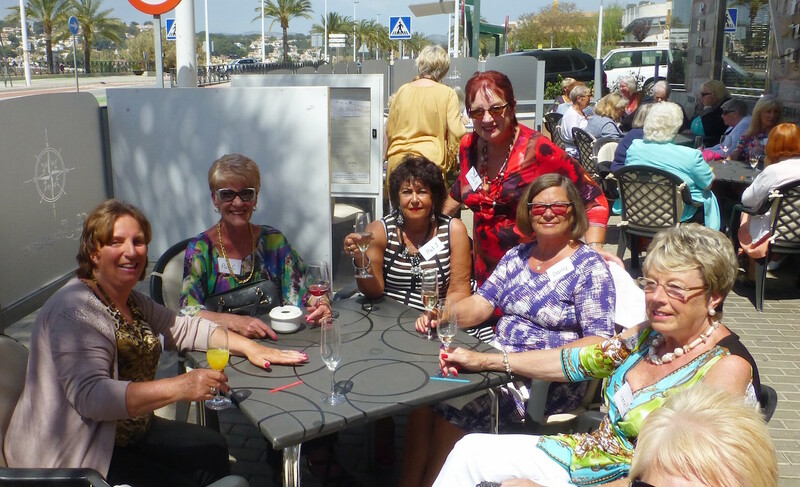 The Chicas treated Lynn to her meal to thank her for organising the group for the last year, without her and her helpers these events would not happen, so thanks to you all from all of us.